Cupcakes are a perfectly sized treat for every occasion and everyday! Moist with delectable icing easily eaten. Just the right size to feed your sweet tooth. As soon as you enter the shop our cupcakes are front and center. There are so may fun creative options to pick out for classroom parties, birthday celebrations, meetings and more in addition if you’d like something more specific, we can customize the perfect ones for your event. ABC Cake Shop & Bakery can even prepare a cupcake cake. Today there is a wide variety of cupcakes and the options are endless at ABC. Have you tried our cupcake of the month specials? 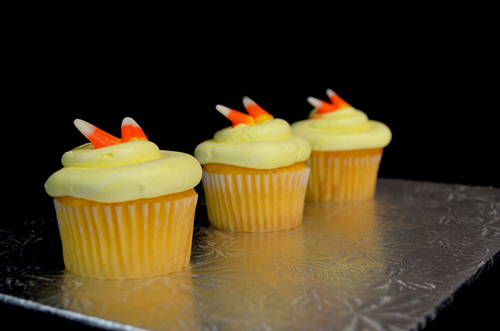 Each month we feature specialty cupcakes. For example in July we have Summer Snow Cone, S’mores and Neapolitan Sundae! During the New Mexico State Fair we have our amazing Churro Cupcake creation, be sure to stop in during the Fair to try one. Browse our Cupcake Gallery for examples of our yummy creations. Cupcakes remain popular treats today and at ABC Cake Shop we can see why! Call us to place your order (505) 255-5080.